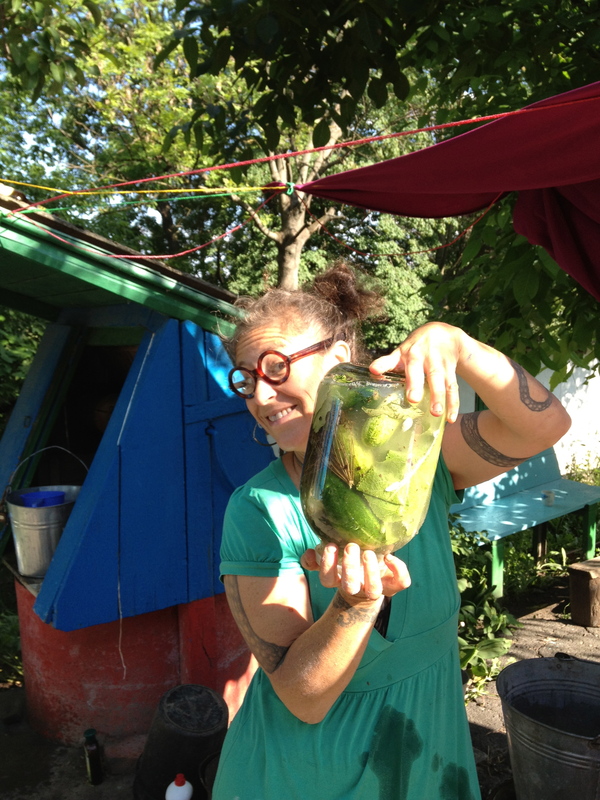 The cucumbers are growing like gangbusters so why not take five minutes and make some pickles? Throw some smallish cukes in a jar along with dill, peppercorns, horseradish leaves, coriander and salt, fill to the brim with water, set in it a warm place for a while, put the lid on and that’s it! Are you now competing with Kitchen Culinaire – because your recipe style is quite different…..